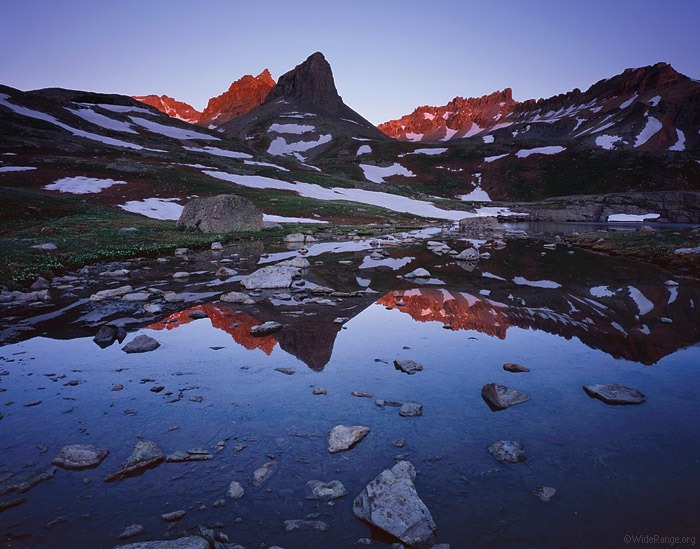 There are two types of high mountain Colorado lakes: those above the tree line and those below it. Some lakes are at such an elevation that they are above the level where trees can grow. High Colorado lakes, These lakes usually sit at the bottom of a talus slope and offer very little cover for fish. Since these lakes are nutrient-poor compared to their lower neighbors, food is scarce and they tend to have fewer trout fishing Colorado lakes. Fishing in Colorado lakes doesn’t necessarily mean the fishing isn’t good, though. As long as you don’t spook the fish (which can be quite easy), you can take advantage of the scarce food situation. Hungry fish are eager fish. 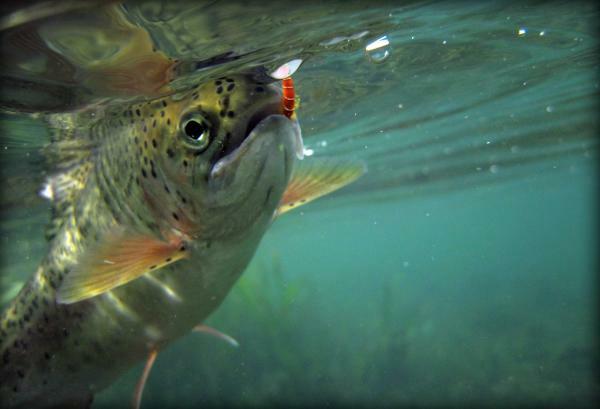 Because of the fierce competition for food, some of these high Colorado lakes alpine trout will aggressively attack anything that even resembles a meal. Because lakes below the tree line offer more food, they typically house more fish. There is usually more cover for these fish to hide. The two drawbacks to these lakes are the abundant food (fish won’t bite if they’re not hungry) and the fact that they can be in heavily forested areas, which makes casting difficult. This can also shelter a lake from the sun. I remember a hike I went on a few summers ago in Colorado using my Colorado lakes map. I tried to time my trip just as I thought the lake was thawing out in mid-June, since this time offers some of the best fishing of the year. During this time the fish are usually hungry and eager to bite anything that looks like food. I also think fish seem to forget some of their nervous habits over the long winter months and appear to be a bit less spooky just after the thaw. On this particular trip (as with many others), I had to use snowshoes to reach the lake only to discover that it was still iced over. I was probably two weeks early. Not wanting to give up, I took out my map to see if there were any other lakes in the area. Luckily, I spotted a small, unnamed lake on the map and with the use of the Colorado fishing reports that rested just above the tree line. Although it was a little higher in elevation, it sat on a south-facing slope. I decided to give it a try since it received a bit more sun. I reached the lake an hour later with the use of a Colorado Lakes Map and I was in luck: the lake was just about ice free. I was sure I was the first fisherman to cast a line in that lake all year, but before I did, I hiked up a small hill overlooking the lake to scout the situation. I couldn’t believe what I saw. It seemed every trout in the lake was cruising the shallows for food and probably enjoying the warmer water as well. They weren’t schooled up (brook trout rarely are); instead it was as if each fish was out only for its own survival. To make the story short I got strikes on about every cast. This just shows that timing is as important as the many other ingredients of successful fly fishing. Keep in mind the pros and cons of each type of high Colorado lakes and don’t be afraid to hike a while to get to that elusive water hole that every fisherman claims to have found, though few probably actually have.